As you begin the process of finding the perfect house plan for your family, you might feel overwhelmed with the numerous choices in today’s homes. Should you go with a 2 story over a 1 story? Courtyard garage or side entry? The number of decisions can be mind-blowing! We took those concerns and created advanced search features, which make searching our website easier, more efficient, and less stressful for everyone. Whether you know exactly what you want or you’re wide open to suggestions, our advanced search features allow you to fully design your dream home. 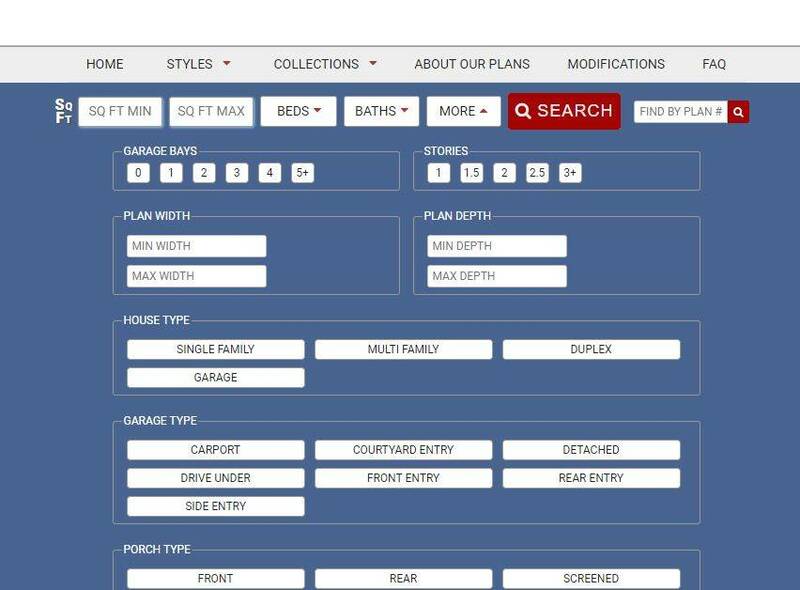 Using the top search navigation bar, you’ll find spots to dictate the square footage you desire, the number of bedrooms, bathrooms and so much more. Next to the Search button is a More drop-down menu. This list of options gives you every possibility imaginable from the width and depth of the home to the number of stories, from the garage, porch, and foundation types to home features and architectural styles; we have it all. You can add or deselect features to broaden your search criteria! To revisit these options, just save the search and come back any time to continue looking. Finding the right home for your family just got a whole lot easier with our advanced search features. We also make it simple and affordable to modify any of our house plans to better fit your needs. Does that perfect house plan need an extra bedroom or a different garage layout? Just follow these easy modification steps and that perfect house plan will be yours before you know it.